The elegant Egyptian Table easily collapses for storage with the release of a small brass sliding latch beneath the tabletop - a flexible design that exemplifies the functionalism inherent in classic furniture types. For Lassen and his contemporaries, function was paramount. Their approach – strongly influenced by Kaare Klint – often began with the careful study and refinement of long-existing archetypes such as safari-style knockdown chairs, British Windsor and Chippendale chairs, and flexible, practical tables like the Egyptian Table, inspired by folding stands found in Tutankhamen's tomb in 1922. 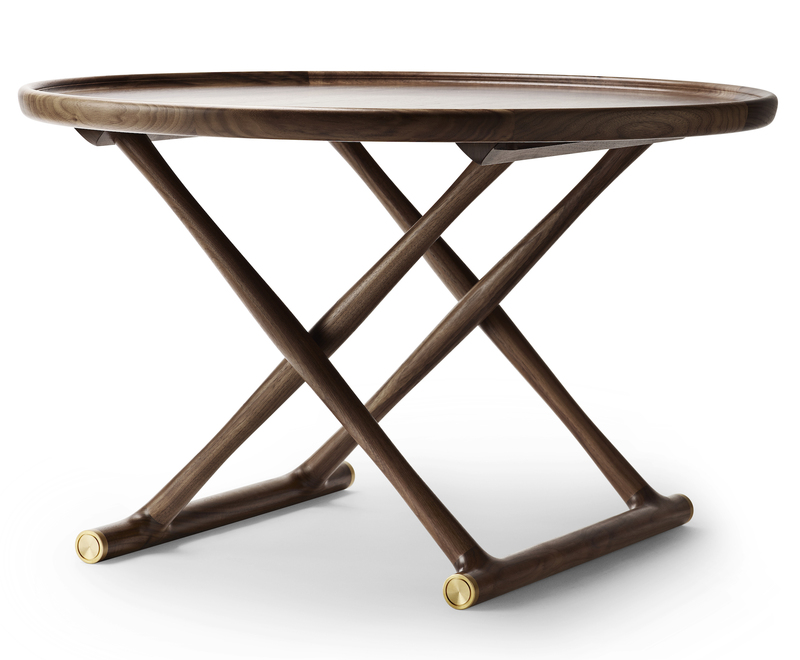 Mogens Lassen first exhibited this round coffee table at the Copenhagen Cabinetmakers' Guild Exhibition in 1940. 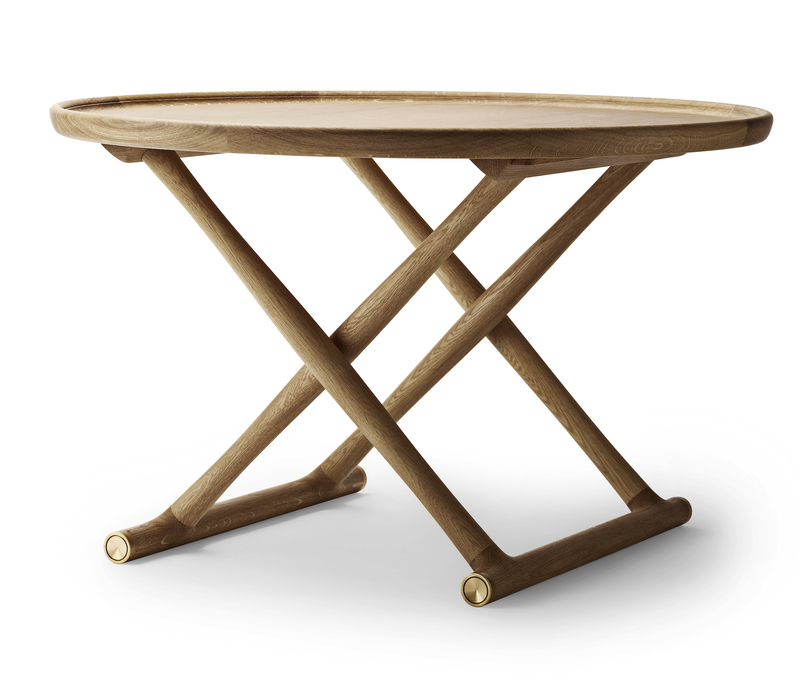 Materials The base is crafted from solid wood and features a plywood table top.